Well, it starting to look more and more like it that we’ll get three iPhones this year. Apple’s widely rumored to launch an overhauled iPhone 8 this year. The smartphone will make up for all the shortcomings of the lineup over the past three years. There has been no design change for the device since 2014, and even that wasn’t a pure change. The iPhone 6 and iPhone 6 Plus are based on Apple’s iPod Touch in terms of external form factor. Now, Cupertino is rumored to launch three iPhones, the iPhone 7s, the iPhone 7s Plus and the iPhone 8. Today, we’ve got the trio’s molds pictured together. Take a look below for more details. Even though Apple’s rumored to launch three iPhones this year, it’s the iPhone 8 that’s getting the most attention from the rumor mill. After all, a vastly overhauled iPhone will get the company more publicity when compared to mere ‘S’ lineup upgrades. The tech world upgrades hardware at the blink of an eye and Apple’s incremental upgrades now sound boring. To that end, even the iPhone 7 and iPhone 7 Plus weren’t pure upgrades. All Apple did was to introduce new color options and improve build. The iPhone 8 will be a game changer in this regard. The smartphone will finally feature an OLED screen, welcoming Apple to the new age. It’ll also feature a virtual fingerprint sensor, though that isn’t confirmed right now. Samsung tried and failed with the feature on the Galaxy S8 but its highly unlikely that Apple will also place the sensor for its special iPhone at the back. The company doesn’t like change for the sake of it after all. 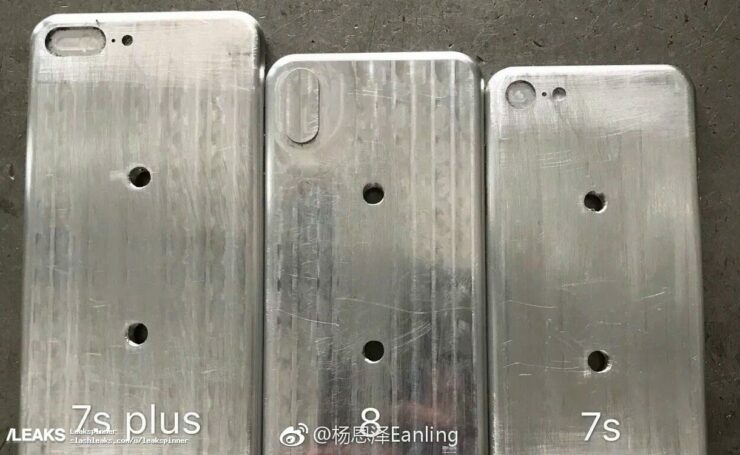 The image above confirms our suspicion for the iPhone 8. The device won’t differ much from the iPhone 7 in terms of size. 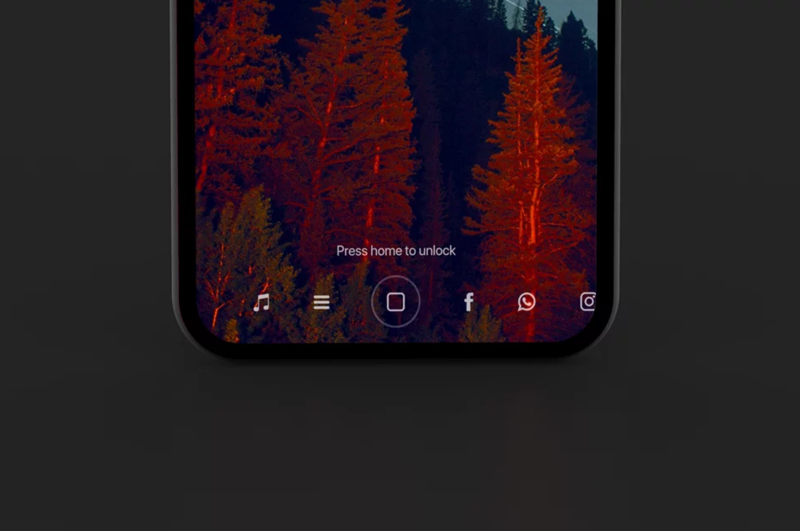 While its screen will be around 5.2 inches (rumors), the increases to display to body ratio will not require an increase in form size. Another feature that’s confirmed today is the vertical dual camera for the iPhone 8. The smartphone will focus on VR and improved camera performance, which will require more functionality in landscape mode. Finally, looks like there might be three iPhones this year after all, even though it doesn’t sound like a good strategy. A highly spec’d out iPhone 8 will draw attention away from the other smartphones, hurting their sales performance. The only way to make this work is for a $1000 price tag, that will make the iPhone 8 very exclusive. Interesting times for all. Thoughts? Let us know what you think in the comments section below and stay tuned. We’ll keep you updated on the latest.